Are you living a working life? The impact of technology and the future of work is not a new topic of discussion. It sits at the top of most board room agendas (and if it doesn't, it should) and as a result we are seeing a new wave of entrepreneurs; a large contingent of which are female. SYNC was founded to support people who wanted to "work their way"; its a collective to support freelancers and contractors in their business endeavours. The group has a growing membership, all of which are women (unintended); a clear sign that things are changing. As technology continues to disrupt industries globally, it is also enabling progress. In this Ideolog article one of our members - Greer O'Donnell - talks with two other Westpac Women of Influence Finalists about this age of disruption and the role of women in it. We were thrilled to be part of Techweek ’18 with the Millennials and the Future of Work panel discussion. The event attracted a huge response and quickly sold out with 60 people in attendance from a range of industries and age brackets, which was great to see and we’ve already been thinking about how we can make events like this available to an even wider community. Throughout the night we talked about a range of topics - from our emerging gig economy to generational inequality to the the very real value of a nicely ripened avo. An overwhelming theme of the night was the power of both the individual and the collective to make great change in our country, regardless of age, experience or gender. Jen shared how IAG’s new MyFlex initiative was launched in November last year following widespread support from senior leaders. IAG has seen a massive uptake, with just over half of their 3,500 employees now engaged in either formal or informal agreements regarding when, where, and how they do their work. Greer extolled the virtues of being your own boss, but also reminded us to be practical about money and meaningful work (oh, and she wants to scrap our political system). Hannah encouraged us to develop a broad skillset base and be conscious of the ups and downs of a gig economy, whilst also mentioning a few great resources - the book Designing Your Life by Bill Burnett and Dan Evans and The New Work Order by the Foundation for Young Australians. And Andrea (when she wasn’t doing an excellent job of hosting the panel), reminded us to think about transferability and utilising the power of corporations to make a difference. The future of work should be an area of critical interest to everyone and in forming new avenues of economy, our focus should be on not just supporting knowledge workers, but also skilled workers. Be practical about pursuing your passions and remember that not everything has to change the world - you can add value in so many different ways. Keep in mind that working flexibly has its pros and cons, and be intentional about connecting with likeminded people! Learn to articulate your own skills and assets - in the future critical thinking, digital literacy, problem solving and presentation skills will be the key to success. The world is changing quickly, often faster than we can keep up with, and it’s important to be empathetic toward those who have worked in traditional ways and mindsets for their whole lives, but also help usher them forward into this new economy. Always engage with people positively and respectfully. New Zealand is uniquely agile because of our small but mighty size and we should use this to our advantage in engaging with new technology, new cultures and new connections. "The panel had great diverse perspectives that balanced each other nicely"
"It was a bloody brilliant event, I loved it and want more events like this!" "It was great listening to each panellists perspective on our work and working environments, challenging the norms, working in ways that suit us as humans and wanting to contribute to society in a positive way. Taking action, working together/collaborating, networking - all the good stuff that us millennials and socialists like to do." Firstly, we’d love to know whether you have done anything different in your workplace since the event and how you’re integrating any of the key takeouts. Have you thought about workforce planning differently, or had an interesting conversation with your boss? Thanks again to our superstar sponsors, HSB Government Relations and Staples Rodway Christchurch, for supporting our event. It’s so important to have forward-thinking companies involved in this conversation, so please get in touch if you’re in need of accounting, business advisory or government relations services. SYNC is proud to be hosting a panel at Techweek 2018: Millennials and the Future of Work. Check out the link or see the media release below. As part of Techweek 2018, a sold-out panel discussion at GreenHouse on Wednesday 23 May will explore the changing nature of work as told by millennials. The event is hosted by freelance network The SYNC Collective. Event organiser and SYNC Collective member Andrea Brewster says the idea for the event came out of observations that many young professionals were abandoning traditional 9-5 jobs for self employment or contract work, seeking greater fulfilment and flexibility. ‘Millennials have different expectations and values when it comes to what we expect from a job’, says Ms Brewster. ‘Purpose-driven work for example, and being more discerning about who we choose to work for’. Ms Brewster says that businesses should be considering these factors when thinking about their employer brand and business model. 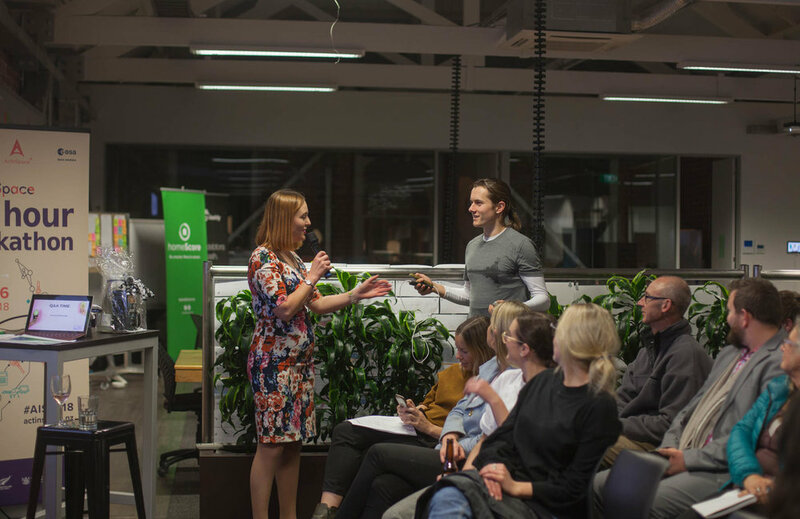 By hosting this event, the SYNC Collective hopes to promote discussion about whether traditional work structures are fit for purpose, and what the alternatives could be for entrepreneurs, employees and employers alike. The panel will cover issues important to millennials in today’s workplace, including the practical aspects of flexible and remote working, leadership styles, health and wellness, the rise of social enterprise, freedom to participate in civil society, and the move towards more project-based and freelance work. Speakers are Andrea Brewster, director of Brewster + Associates; Greer O’Donnell, co-founder of the SYNC Collective and The Urban Advisory; Hannah Rhodes, external relations manager at UC Centre for Entrepreneuership and active member of Generation Zero; and Jen Miles, workstream lead on future workforce at IAG Insurance New Zealand. The event is sponsored by HSB Government Relations and Staples Rodway Christchurch. Tickets are sold out with 70 attendees expected from 5pm, with the panel at 5.30pm followed by audience Q&A. Discussion will also take place online using the event hashtag #twnzmillennials. This event is part of Techweek 2018, a nationwide festival of innovation that’s good for the world. More information at https://techweek.co.nz/whats-on/2018/millennials-and-the-future-of-work-236/ or https://syncsolutions.co.nz. 'Work-life balance' is a common saying coined to promote a separation between work and the rest of life, however should we be promoting a goal of a balanced life rather than a good work-life balance? Anthropologists have said that one definition of happiness is to have as little gap as possible between your work and your play. Breaking the work/life dichotomy can take various forms, but what is consistent is the need to recognise that work is actually a vital and fulfilling part of our day-to-day. Society has normalised the concept that work is work, the 9-5, a means to an end that is not to be enjoyed (signal the 1000's of coffee fuelled Monday themed memes). This traditional work model typically being one office, one team, a desk and a yearly salary, and your time outside of the 40 hours a week is your actual ‘life’. However, we need to recognise the fact that work contributes to a large part of our existence and though it sustains us financially, it should also bring us other benefits. If you won the lotto, would you quit or change things up? We need to take a holistic view on life, which means we don't design one around the other, but look at the whole picture. This approach is not for everyone but it proposes that the traditional work model isn’t either. Relationships: There is concern that removing the office environment removes interactions and face time but valued relationships and strong communication are necessary to make this alternative possible. This arguably strengthens the key relationships and removes a lot of superficial noise. This world is of course supported by newly available tech, there are no limits to the connections you can make. Technology: Technology is the web connecting us all, allowing us to work remotely, removing barriers to isolation, expanding industries that allow greater flexibility, allowing collaboration on documents and much more. This ever-changing landscape has no bounds. Income vs Living: People are starting to ask questions like should their salary be their sole income? Is this enough? Can they in fact survive on less? Is the side hustle/passion project possible? People are re-considering moving for a job, joining the rat-race in the ‘big city’ because that is what is believed to be the best option financially; what about deciding how we want to live first. Loyalty: I know what you are thinking, millennials have no loyalty to companies, but the truth is large corporates are often showing even less loyalty to their staff. Over-working them with little compensation, narrowing advancements, less and less pay transparency, restricting flexibility in roles for returning mums, new dads and travel bug sufferers. Equality: That wage gap… Society is demanding increased flexibility and removal of discriminatory barriers, increasing diversity with diversity of life. Moral Compass: Individuals and groups are taking control of their careers and what impact they are having on community and the environment; they are challenging employers who aren’t aligned to their social goals. So how do you make it work and is it too risky? My advice is to talk to people, ask opinions and advice, go to professional events, do a cost-benefit analysis, think about your ideal balance and define your identity. Join networks and collectives that support and nurture this concept, individuals working collectively, such as Sync. Take on a side project or participate in a collab. If it seems too big of a change at first, you can take small steps. Helping out with something that you care about for free, in your free time, can be an excellent way to decide whether you want to pursue it more wholeheartedly. The Sync Collective recognises that the world is changing, and so are people’s needs. We have started the co-op to support this change and allow more people, from all different backgrounds, to create a balanced life that doesn't have massive deficiencies. Define your passions and skills and make an earnest living from them in the place you want to be. I support Sync because I want to be in control of the professional direction of my life. A life and career that allows flex as well as ambition, not having to sacrifice one for the other. 'Your mind is like a parachute… It only works when it is open'. Join the collective! The future of work is changing. How we live our lives is changing. It has to. We have more inequality and more unhappy humans than ever before. And yet we - apparently - have all the tools and ability to change it. So it got me thinking: If everyone was passionate about what they got paid for, would “work” as we know it exist? It’s not hard to see more and more people are no longer satisfied sitting in a company office for 40-plus hours each week, working for someone else's bottom line, doing something they don’t enjoy. People are looking for an alternative. Enter the motivators of this generation; the desire to have a positive impact on the world, be inspired by purpose, not status, the demand for flexibility, autonomy and continual growth. Freelancing or contracting offers the opportunity to achieve those things and gives us all a chance to live a fulfilling life which includes working, not a life dictated by turning up to a job. SYNC believes this can happen, Sync believes you can live your work life balance to make a life that works, a proper working life. And we want to empower everyone who chooses this path. SYNC wants to learn, grow and share all the good bits of a working life while nutting out all the hard bits together. We hope that by having a platform for people to connect, support each other and brain-smoosh, we can create a way for people to do what they are passionate about in a way that works for them. SYNC wants to help you build your working life by assisting whichever way is needed. Watch this space. SYNC only exists because of the hard work and commitment by those who supported our vision of a working life. By following this blog you will hear the perspectives and motivations of these amazing people, learn their stories and hopefully catch some fun facts you might just find interesting and helpful on your journey towards a workless life. SYNC - a collective for the future of work.